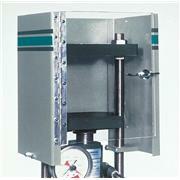 Fluid pan for use with all Test Cylinder Outfits. 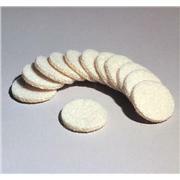 When presses are used for fluid extraction, filter papers sandwich the sample. The stainless steel pan captures the release fluid. 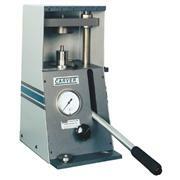 …and Mini “C” Presses Provides protection from accidentally ejected test cylinder or sample Back and side walls are 10-gauge steel Hinged door is polycarbonate, 5 mm Mounts easily on press Only required on older Carver presses. Included on current models. For molding, forming bricks, briquettes, pressure forming, crushing, pressing plant and animal tissues, fluid extraction, extrusion and flow tests. 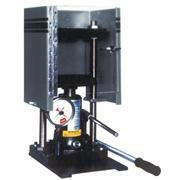 Note: For use in Carver standard presses (excluding pellet presses). 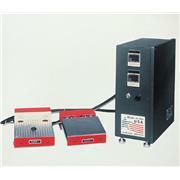 Not recommended for use in heated presses. 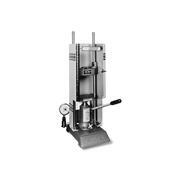 For centering KBr die in Carver Model C Press Hardened tool steel Plate covers bolt hole in head of press and protects against damage to press by plunger or KBr wafer die. 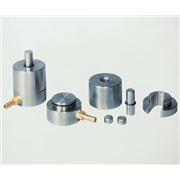 It has a diameter of 89 mm with concentric circles of 25 mm, 51 mm and 73 mm diameter. Thickness: 32 mm. 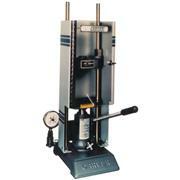 Permits off-line testing of pellet and tablet samples Holder works with standard BB2 production tooling in the Model C press. 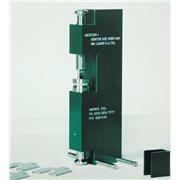 The set includes an anodized aluminum holding fixture, steel shims to adjust for various size samples and an anodized aluminum ejector. 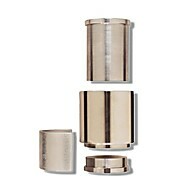 Form pellets for use in IR and X-ray spectroscopy Stainless steel die includes a fitting for vacuum source connection. 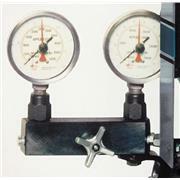 Analog Gauges for 12 Ton Models, Model C and Mini C Manual Presses. 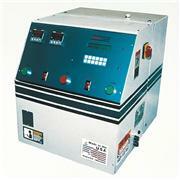 Heated steel platens are available in digital (up to 650°F) or thermostat (150° to 500°F) controlled models.